A new condominium complex is going up on the corner of Chatham Street and Urban Drive in downtown Cary, NC. 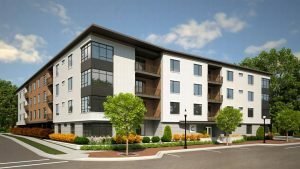 Chatham Walk will offer three floor plans and includes a private balcony for each unit. Before construction begins, the site work includes moving the Williams House to a vacant lot on East Chatham Street across from Mid-Town Square.